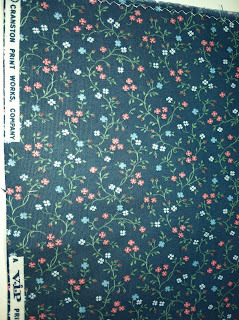 This is the fabric I chose to feature in my block. It is a scrap left from making a dress for my daughter when she was 3 years old. She is now 26, so I think it qualifies as "vintage". 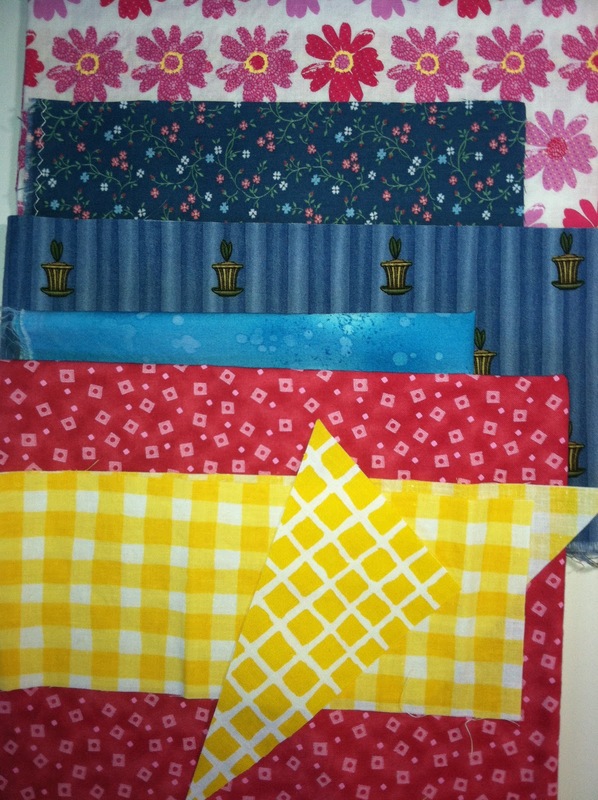 Here are the fabrics that I used with it to make my made fabric. I forgot to photograph the made fabric before cutting it up for the block. This color brought back many memories. I could never get my daughter to wear very much pink. 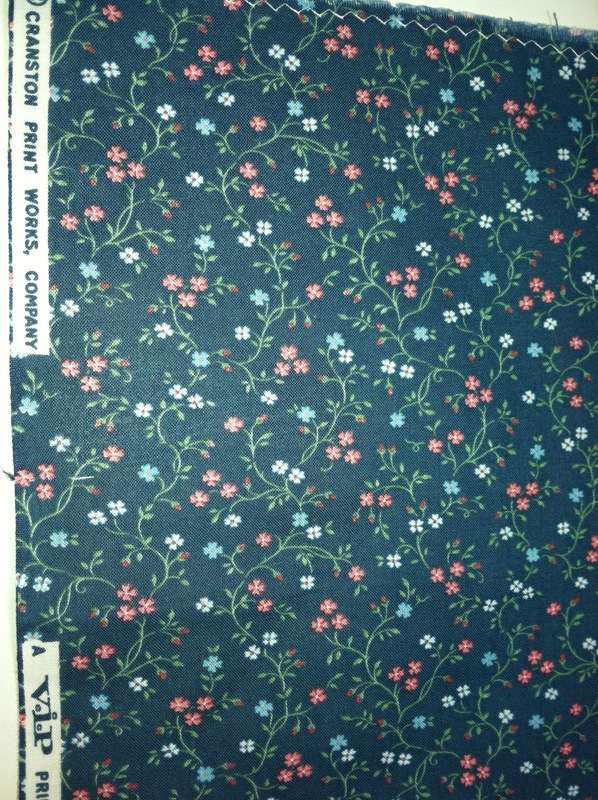 The tiny flowers in this print were an exception. I wanted to use clearer brights to add some zing. This could have been a very somber block, but with the yellow & brights it will fit with the rest. I'm with you on the old fabrics - it's fun to find a good use for them again. Your block is great, I really like the contrast. What a pretty block, Jane! Your color additions are wonderful. 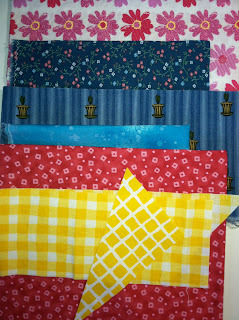 I love that in this challenge we are using our vintage fabrics. So you kept that scrap for 23 years! I'm now trying to work out the oldest scrap in my stash. this challenge got me digging through my vintage fabrics and Now I see a old Floral calico quilt coming together... A walk down memory lane indeed! 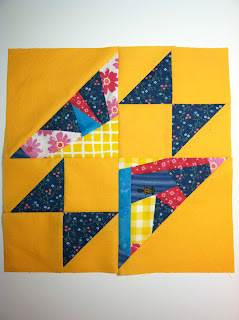 Love this block, I have that BLUE fabric you have in the outer triangles too! Looking sooo good and scrappy!!! Well done!! Your color choices made the dusty blue cheery! I love using fabrics that have good memories like that too.